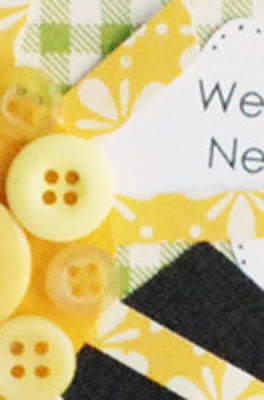 Today's post is based on two of my favorite things about paper crafting. If you look through my work it will come as no surprise to you that I absolutely love adding texture and dimension. I will fully admit that the trend toward chunky pages, however hard to fit in albums, makes me very happy. It was my turn today to post over on the Magistical Memories blog and my post is about just that. Adding texture to your projects. Here is a small peek of my project I made. You can check it out here. Another thing that I am loving lately are all of the color challenges. Color can make such a difference on the look of a project. 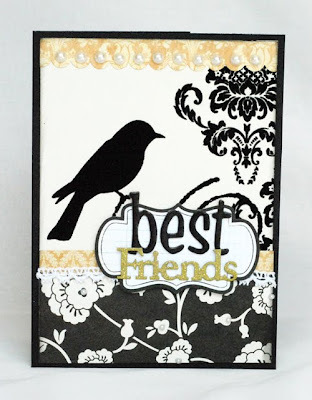 Last week I created the card below for the color challenge over at Emma's Paperie. 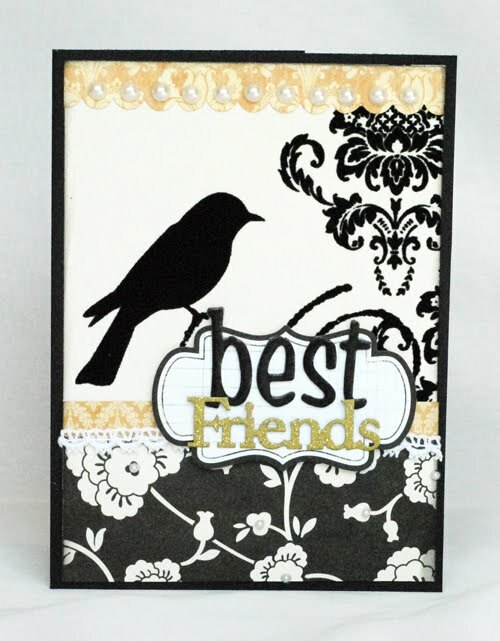 Head over there to see the photo inspiration along with a list of supplies for my card. 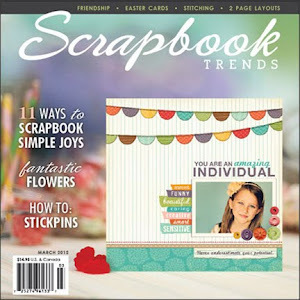 I am off for a girls weekend with some sweet scrapbooking friends of mine. Can't wait to spend the weekend staying up late scrapbooking, sleeping in, and spending time with friends. Hope your weekend is just as fun and relaxing. Thanks for stopping by! i love all the color challenges, too! they definitely get my mojo going. Have an awesome scrapbooking retreat!!! I hopped on over to MM and LOVE your adorable creation!! And the card is so beautiful! Hugs! What gorgeous projects, Lisa! I love your MM address book. I so agree with you about texture adding so much to a project. I adore your used of embossed chipboard and layering. The buttons are so fabulous on your sun. Gorgeous card, too. Love the elegant look. Hope you have a wonderful, wonderful weekend with the girls. Sounds like a ton of fun. Can't wait to hear all about it. Wow, loving the yellow and black.